Tales of old expeditions continue to enchant. Elements of a good story, embellished with detail over time, can obscure facts with myth. Fresh finds reveal the sometimes strange realities of famous explorers while vindicating others from vicious biographies. They infuse the legendary with more humanity, showing real people who persevered and often died in the pursuit of dreams. Even artifacts connected to explorers can provide valuable historical insights and a good crime mystery. In 2016, a restoration effort removed about 1,500 artifacts from huts at Cape Adare in Antarctica. The structures once sheltered Robert Scott and his men, who tried to reach the South Pole. 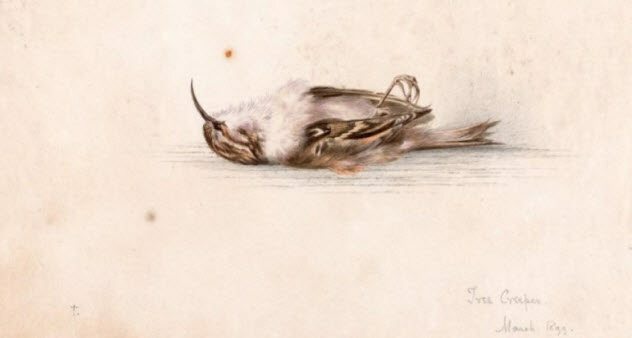 Most items were suited for arctic life, but one unexpected find was the watercolor of a bird called a treecreeper. To figure out how the picture ended up in Antarctica, researchers had to identify the artist. The handwritten date on the painting provided a clue. The year 1899 fingered somebody from either a Norwegian party who also used the huts (1899) or Scott’s famously doomed team (1911). One of the researchers attended a university lecture without the painting in mind. The talk was about Dr. Edward Wilson, who froze to death alongside Scott. When the presentation showed Wilson’s artwork, the researcher recognized his painting technique and handwriting. Wilson was recovering from pulmonary tuberculosis in Europe when the painting was made. It is believed that he took it along when he traveled to Antarctica in 1911. He is not as well-remembered as Shackleton or Scott, but Wilson was the first medical doctor to stand at the South Pole. Charles Darwin was a traveling naturalist best known for his belief that evolution hinged on the survival of the fittest. Ironically, the 19th-century author might have inherited the syndrome that killed his mother when he was eight. At times, Darwin was a very sick recluse. He once refused to visit a doctor out of fear that he would be deemed unfit for an upcoming expedition. Darwin suffered bouts of a mysterious condition that confounded doctors and historians for centuries. Nausea and vomiting, headaches, and skin and stomach troubles sometimes left him incapacitated. 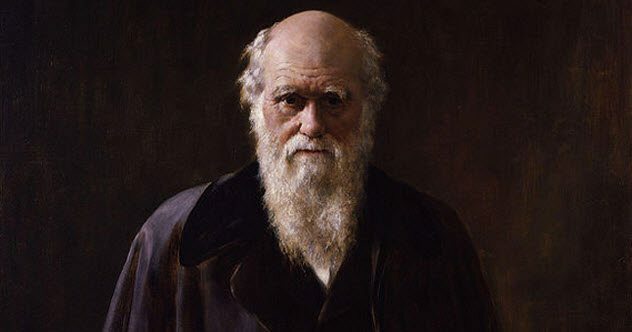 In 2009, a professor in Melbourne investigated Darwin’s case. Also a medical doctor, John Hayman found that the explorer’s maternal family had conditions linked to a disorder caused by genetic abnormalities. Cyclical vomiting syndrome provokes anxiety, skin infections, headaches, terrible sickness, and abdominal pain. The latter manifested so severely in Darwin’s mother that she died. Measured against his own theory, Darwin was not a fit specimen. However, his DNA did not vanish from the evolutionary gene pool. During an extended stretch of bad health, Darwin fathered 10 kids. The important-sounding Jean-Francois de Galaup, Comte de La Perouse, was indeed a notable figure of his time. 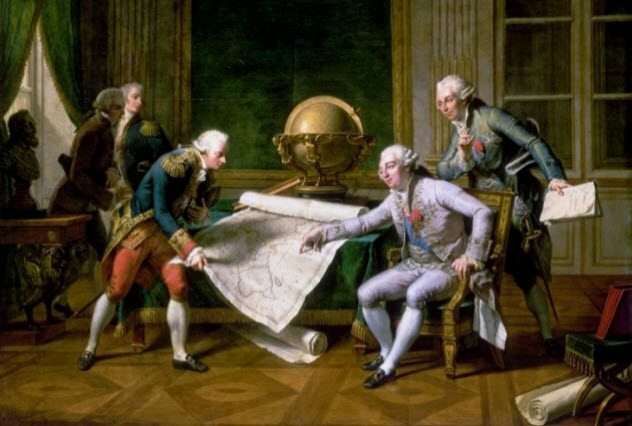 The Frenchman’s exploration of the Pacific was matched only by Captain James Cook. La Perouse’s end was a mystery. His ship vanished in 1788 en route to the Torres Strait near Australia. Years later, a merchant ship sank near the Solomon Islands just northeast of Australia. One man made it to Murray Island. Shaik Jumaul was rescued four years later, and the story he told made The Madras Courier in 1818. Despite interest in the fate of La Perouse, the castaway’s testimony became forgotten. In 2017, the original Courier story surfaced. Significantly, it mentioned that Jumaul found weapons on the islands, cutlasses and muskets that did not belong to the English. He also discovered a watch and compass. When asked, Murray Island locals filled in the gruesome details. A ship had wrecked against the Great Barrier Reef, and when the crew reached the island by boat, they were slaughtered by the villagers. Only one boy was spared, and he was raised as a native. He is believed to have been Francois Mordelle, La Perouse’s shipboy. George Levick was a scientific member of Robert Scott’s 1910–13 British Antarctic Expedition. During that time, Levick witnessed something so horrifying that he wrote it down in Greek so that only the highly educated could decipher it. What Levick could not share with the masses will hardly raise an eyebrow today—the mating behavior of the Adelie penguin. He described how the birds practiced necrophilia, homosexuality, and sexual assault. When he returned to Britain, experts deemed the material too explicit and refused to publish it. Levick privately printed his studies, Sexual Habits of the Adelie Penguin, and distributed the paper among a select few scholars. All known pamphlets were lost. In 2012, a curator at the Natural History Museum happened upon the unique research. (Nobody had stayed with the Adelie penguins for their whole breeding cycle before or since). Levick witnessed behavior never seen before, and his gentlemanly background did not understand what he called the “astonishing depravity” of unpaired penguins. Modern studies revealed that the behavior was not perversion. 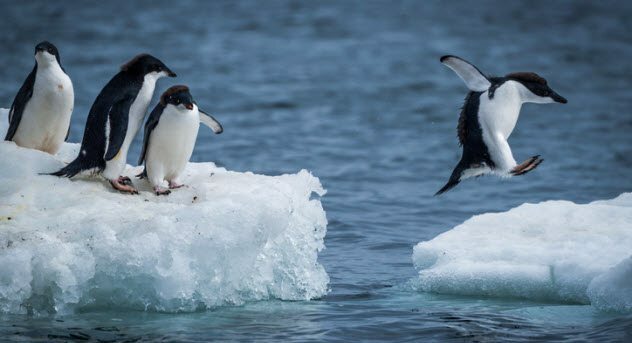 Young, inexperienced Adelie penguins often misread mating cues. An injured or dead female on the ground resembles a receptive mate, hence the necrophilia and “assaults” that so shook Levick. Even so, his written observations were professional and ahead of his time. Amelia Earhart’s disappearance over the Pacific in 1937 remains an evergreen mystery. In 1940, an island called Nikumaroro yielded human bones. The discovery remained unknown for decades until an old file was found in Kiribati. Inside, correspondence between British officials discussed the incomplete and badly scavenged skeleton. The medical examiner thought it was a man. The now-missing skeleton is significant to those hunting Earhart. Personal effects included a sole, possibly from a lady’s shoe, and a box that would have contained a sextant of the type used by her navigator. The papers contained measurements for each bone. The arms were more suited to a male. However, a sleeveless photograph allowed researchers to calculate Earhart’s arm length. It revealed that she was among the 20 percent of 19th-century American women with unusually long arms. Indeed, she matched the skeleton’s limbs. 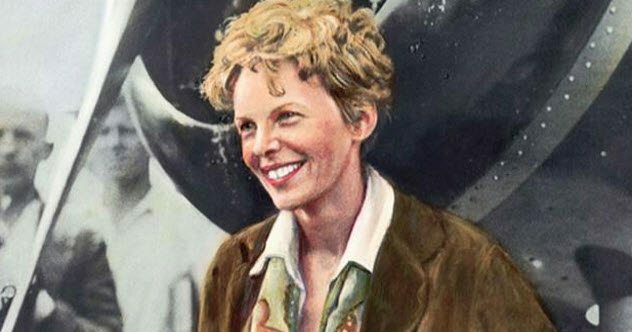 Earhart was taller than most women, though some anthropologists agree that the skeleton’s build matches Earhart’s ethnic origin. If proven to be female, it would almost certainly be the famous aviator. Female Pacific castaways from the 1930s (the date of the artifacts) are extremely rare. In 1493, Christopher Columbus wrote about the New World and mailed it to the Spanish king and queen. 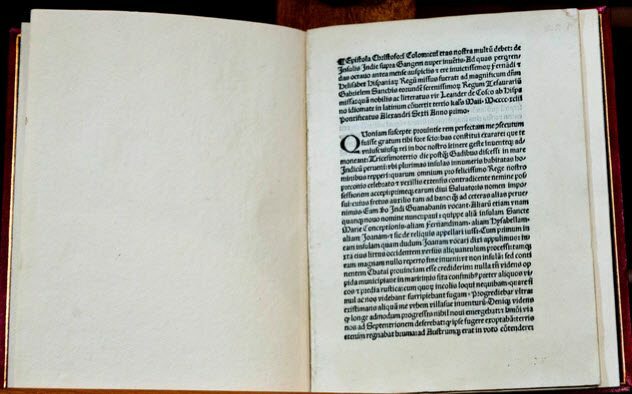 A 500-year-old copy was stored at the Vatican. Called Epistola Christofori Colom, it was chosen in 1934 to be cataloged in a collection of 15th-century works. During this process, somebody with nimble fingers inserted a fake and ran off with the real thing. In 2004, Robert Parsons visited a rare book dealer. An avid collector, he bought the Columbus letter for $875,000. Parsons never knew the document was stolen and kept it in his collection for years. Ironically, the Vatican didn’t realize it was gone until Parsons tried to authenticate the pamphlet. Years later in 2017, officials learned that somebody thought they had the original Epistola, which was supposedly in the Vatican Library. A check revealed the forgery. Since her husband’s death three years earlier, Mary Parsons now owned the letter and allowed a government expert to study it. She returned it to the Vatican once her copy was identified as the genuine article. Who the thief was and exactly how the Epistola was stolen remains unsolved. The glory of being the first man to reach either pole created bitter rivalries. Two Americans fought each other for the North Pole. Robert Peary was a Navy civil engineer and an experienced Arctic explorer. In 1909, with Eskimos in tow, he arrived at the North Pole. His rival, Dr. Frederick Cook, responded to the news by claiming that he had already set foot at the North Pole the year before. One or both men were lying. Each described traveling at fantastic speeds, and suspiciously, rival newspapers flogged their chosen man’s tales. After a spectacle about who won the North Pole, the US Congress formally awarded it to the Peary expedition in 1911. Today, neither man is credited with the victory. Cook’s claim remains dodgy, but Peary’s held no deception. A long time after he died, his travel log was found. 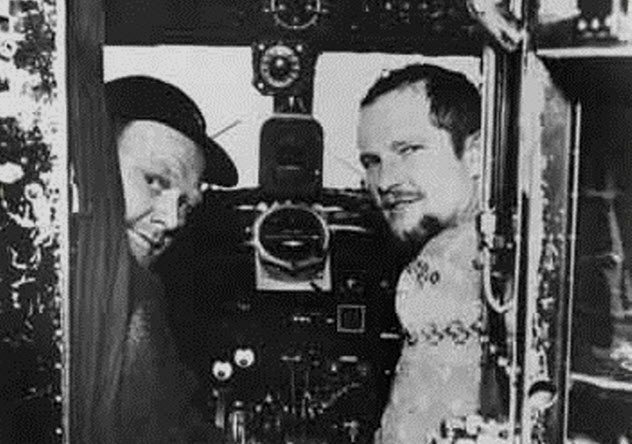 Inside, navigational errors showed that Peary stopped when he should have continued for another 48 kilometers (30 mi). The real winner was Joseph Fletcher, a US lieutenant colonel who easily hopped off a plane in 1952—and walked to the North Pole. In 1998, historians excitedly followed the discovery of the Esmeralda off the coast of Oman. The ship had sailed with Vasco da Gama’s fleet when he searched for a way to India. Captained by Vicente Sodre, da Gama’s uncle, the ship sank during a storm sometime in 1502–1503. While investigating the wreck in 2014, a copper disk was discovered on the seafloor. Scientists suspected that it was an astrolabe, a navigational device. These are very rare in the archaeological record. This one bore the coat of arms of Portuguese King Dom Miguel, making it a valuable possession of its time. 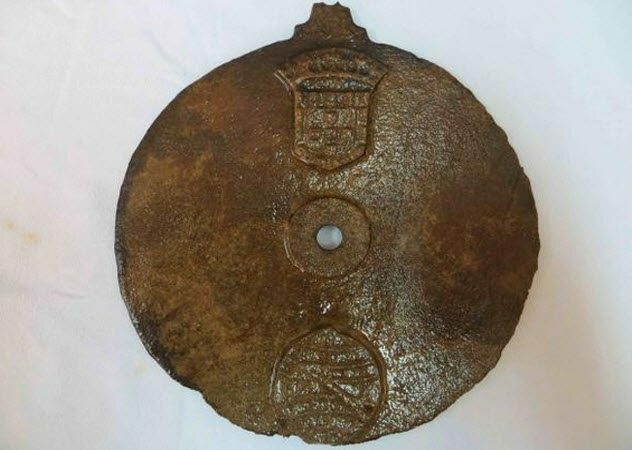 Researchers had to wait a few years before 3-D scans confirmed that it was also the oldest astrolabe from a time referred to as the European Age of Exploration. The 3-D model revealed 18 hidden telltale lines. They grew from a central point and were spaced five degrees apart. By measuring the Sun’s altitude at noon and aligning the astrolabe to the horizon, the device accurately told the ship’s latitude. Little is known about early astrolabes, which makes the Esmeralda device more precious. Percy Fawcett disappeared in 1925 when he entered the Amazonian jungle to find a lost golden city called Z. Over the years, the urge to discover Fawcett’s fate led to more than 13 expeditions and cost 100 lives. Theories abounded, but he was mainly thought to have been murdered by natives. In 2004, Misha Williams announced a startling discovery. 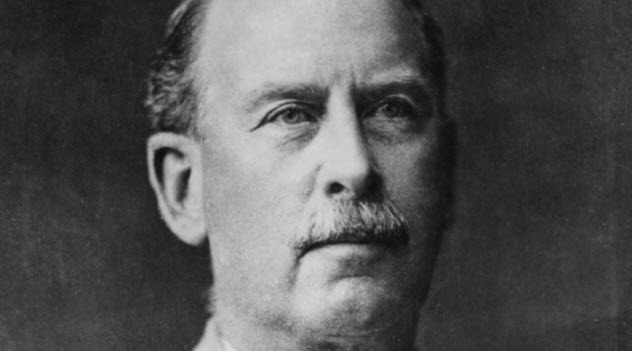 The British writer had spent the last decade researching the disappearance and befriending Fawcett’s descendants. To friends and family, he described a secret commune in the Amazon that would practice a mix of theosophy and the worship of Jack, his son. Jack disappeared alongside his father. The Fawcett family archive contained evidence of people who wanted to join the hidden community. Most surreal, however, was the sketch of a native female spirit that was said to appear only to the Fawcetts and lure into the jungle those trying to find Percy. When Robert Scott arrived at the South Pole, he was crushed to find that the Norwegians had reached it first. Scott took a somber group photo on January 18, 1912, and then he headed back. After Scott was found frozen to death, he became a national hero in Britain. Later, he became a villain. His supposed ineptness was blamed for the team’s deaths, even though one was accidental and another committed suicide. 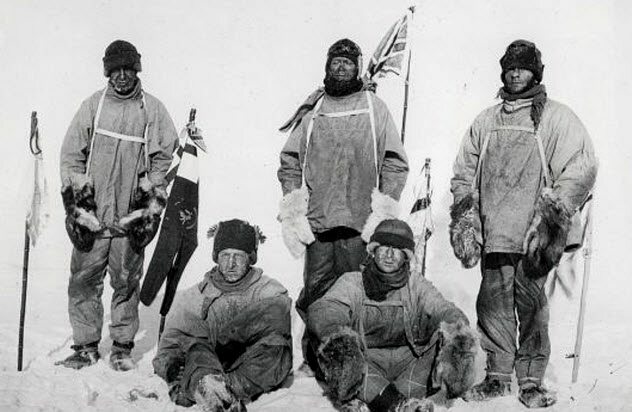 Researchers found that the three surviving men perished because the base camp had disobeyed Scott’s orders. He left written instructions for dogsleds to pass a food depot and meet them. Scott knew that arctic conditions could keep them from reaching the depot, but the sleds, a wise precaution, never arrived. Instead, provisions were dropped off at the depot before the sleds turned back. Caught in a blizzard, Scott’s party died 18 kilometers (11 mi) from the cache. The written orders shatter several myths, including that Scott was inept or didn’t use dogs. The base leader was also supposed to send the relief party days earlier. They were too exhausted because he had used them to off-load ship supplies. Also, if he had sent Charles Wright, a well-rested navigator instead of a tired and inexperienced assistant, Wright likely would have reached Scott in time to save him. Read about the amazing exploits of forgotten explorers on 10 Important Expeditions Of Forgotten Explorers and 10 Amazing Forgotten Explorers.